SBI Loan Interest Rates : With a lot of expenses at times we cannot afford to buy things and we need a Loan. SBI has been one of the most preferred banks when it comes to taking a loan in India. 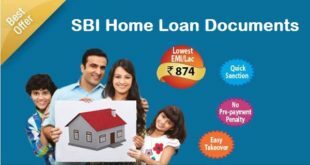 The main reason is due to variety and flexibility of SBI Loan Schemes. Before taking the loan most of us are majorly concerned about the Repayment period and the Interest Rate the bank would be charging. Today, we will tell you the current interest rates of SBI Loans in India. NOTE : All Interest Rates are Subject to Change, without Notice. Before we know about the Interest Rates for SBI Loans, let us understand what actually Interest Rate is. Interest rate is the amount charged as a percentage of principal, by a lender to a borrower for the use of assets. Interest rates are usually noted on an annual basis, called the annual percentage rate(i.e., percentage rate p.a or per annum). Women 20 bps above the BR i.e. 9.50% p.a. Rs. 841 45 bps above the BR i.e. 9.75% p.a. 65 bps above the BR i.e. 9.95% p.a. Others 25 bps above the BR i.e. 9.55% p.a. Rs. 845 50 bps above the BR i.e. 9.80% p.a. 70 bps above the BR i.e. 10% p.a. SBI Car Loan Scheme For All Tenure 0.55% above base rate i.e. 9.85% p.a. 0.50% above base rate i.e. 9.80% p.a. SBI Combo Loan Scheme For All Tenure 0.55% above base rate i.e. 9.85% p.a. 0.50% above base rate i.e. 9.80% p.a. NRI Car Loan For All Tenure 0.55% above base rate i.e. 9.85% p.a. 0.50% above base rate i.e. 9.80% p.a. Used Car Loans Up to 3 years 7.60% above Base Rate i.e. 16.90% p.a. Above 3 yrs up to 7 yrs 7.85% above Base Rate i.e. 17.15% p.a. Certified Pre-owned car loan Up to 3 years 5.00% above Base Rate i.e. 14.30% p.a. Above 3 yrs up to 7 yrs 5.00% above Base Rate i.e. 14.30% p.a. SBI Loyalty Car Loan Scheme Car Loan, Combo Loan, NRI Car Loan 0.30% above BR i.e. 9.60% p.a. 0.25% above BR i.e. 9.55% p.a. Certified Pre-owned Car Loan Scheme , Used Car Loan Scheme 1.60% above BR i.e. 10.90% p.a. 1.55% above BR i.e. 10.85% p.a. SBI Nano Youth Car Loan Scheme For All Tenure 0.80% above base rate i.e. 10.10% p.a. 0.75% above base rate i.e. 10.05% p.a. Super Bike Loan Scheme For All Tenure 3.35% above base rate i.e. 12.65% p.a. 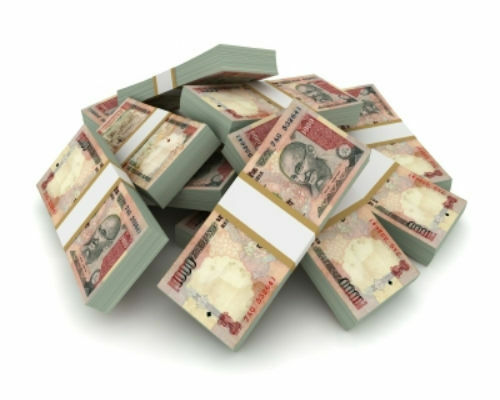 SBI Two wheeler loan For All Tenure 8.60% above Base Rate i.e. 17.90% p.a. SBI Pension Loans 3.90% above Base Rate, currently 13.20% p.a. Jai Jawan Pension Loan 4.75% above Base Rate, currently 14.05% p.a. SBI Saral 8. 50% above Base Rate floating, currently 17.80% p.a. Festival Loan Scheme 6.75% above Base Rate, currently 16.05% p.a. Clean Overdraft 8.25% above Base Rate, currently 17.55% p.a. Demand Loan 2.90% above Base Rate Floating, currently 12.20% p.a. Liquid Gold Loan Scheme – OD 2.90% above Base Rate Floating, currently 12.20% p.a. Upto Rs. 1.00 crore 290 bps above the Base Rate, currently 12.20% p.a. Above Rs. 1.00 crore 315 bps above the Base Rate, currently 12.45% p.a. Upto Rs. 7.50 crores in Metro Centres & upto Rs. 5.00 crores in non-metro centres 325 bps above the Base Rate, currently 12.55% p.a. Above Rs. 7.50 crores in Metro Centres & Above Rs. 5.00 crores in non-metro centres 340 bps above the Base Rate, currently 12.70% p.a. Previous How to Apply for SBI Credit Card ? Next How to get SBI Credit Card Against Fixed Deposit ?